The number of people who belong to the Hagei ethnic group is considerably higher than the 1,700 population who can still speak the Hagei language. 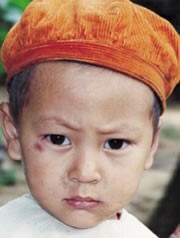 Almost a century ago, missionaries in Guizhou considered the various branches of Gelao on the verge of extinction. Samuel Clarke wrote, "As far as we know there are now only several hamlets of them in the Anshun Prefecture, which altogether do not number more than two or three hundred families." Although they were once the dominant group in the area, the Gelao were subdued by the Chinese and their homelands were taken over during the Yuan Dynasty (1271-1368). Since that time most Gelao have assimilated to Han Chinese culture and language, so that today there is little to distinguish them from their former conquerors. The Hagei prefer to construct their homes on the side of a hill or at the foot of a mountain. In their homes, a central kitchen is surrounded by two bedrooms. Many Hagei are extremely poor and live in houses made of mud or bamboo. Maize is the staple food of the Hagei who live in the mountains, while on the plains they eat wheat, rice, millet, and sorghum. Apart from ancestor worship, the Hagei are not a particularly religious people. Little is known about the state of Christianity among the Hagei, but most of the areas they inhabit have little Christian presence. 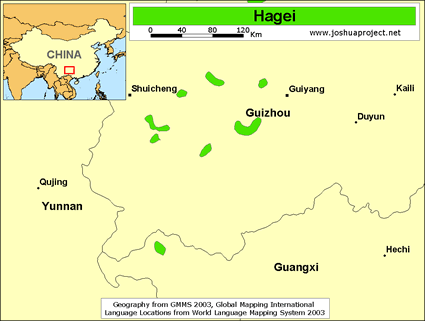 The Hagei also spill over into the northwestern part of the Guangxi Zhuang Autonomous Region. The first Protestant missionary to Guangxi was R. H. Graves who arrived in 1862. He reported, "The natives of the province were strongly opposed to a foreigner settling in their midst and met every attempt at entrance with a determined opposition which reached the point of mob violence and bloodshed." View Hagei in all countries. 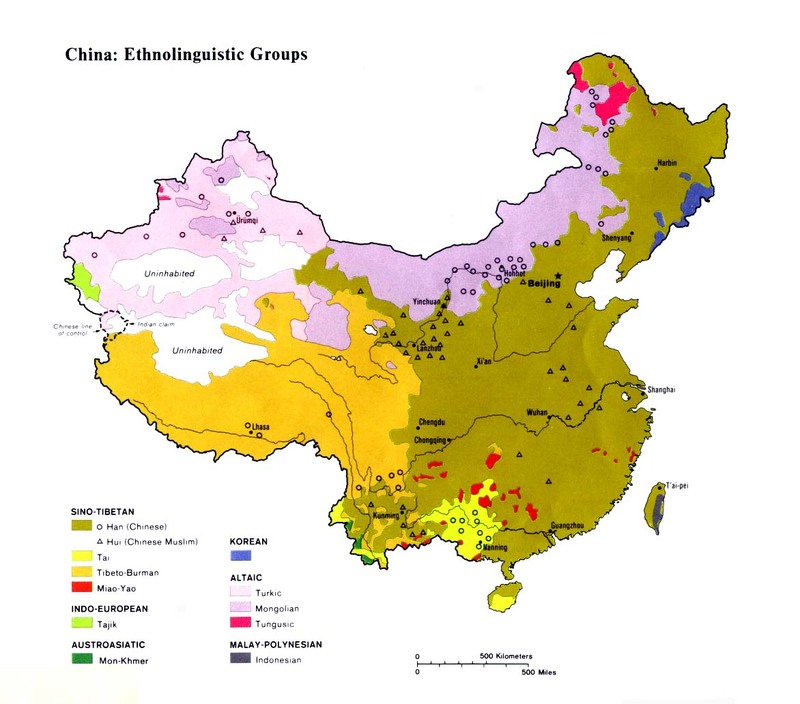 Location in Country: Despite a relatively small population of only 1,700 speakers, the Hagei ethnic group are found in an extraordinarily widespread area of southern China. The majority are found in five counties of northern and western Guizhou Province: including Qinglong District of Zunyi County, Anlang and Taiyang districts of Renhuai County in the north of the province; Maixiang District of Qingzhen County in central Guizhou just west of Guiyang City; Xiangying, and Ma'ao, and Huajiang districts of Zhenning County in western Guizhou. In addition, a small number of Hagei speakers spill over into the Sanchong District of Longlin County in the northwestern arm of the Guangxi Zhuang Autonomous Region.